Register on or before 13th December 2018 and get your free copy of Bhanu didi’s latest book – Gods and Goddesses – and also gain access to two exclusive sessions on your child’s development with our experts. When your child asks what God looks like or if he prefers chips over fruits, what should you tell him or her? Our simple answers about god shape the way our children perceive the enormous power that cares for and nourishes this entire creation. These are the little footholds of faith that we instill in the child to help them climb their mountain and find the rainbow on the other side. Such a delicate topic, yet so profound. Come, participate in an interaction with Bhanumathi Narasimhan, sister of Gurudev Sri Sri Ravi Shankar, to explore the most sensitive ways to handle this subtle topic. Also, gain insightful inputs on topics like teaching your children to deal with success and failure and taking care of their health and immunity in two informative sessions. You can also watch the repeat broadcast of the event at 10:30 AM EST on December 15th, 2018. Register before 13th December 2018 and get a complimentary copy of Bhanumathi Narasimhan’s latest book - Gods and Goddesses - delivered to your home. Note: The offer is valid only for participants residing in India with a valid postal address. Proceeds from this event will go towards the ‘Gift A Smile’ project – an initiative to make quality education accessible to underprivileged children in tribal and rural parts of India for free of cost. When it comes to children, parenting is a sacred responsibility. Our responsibility is not just providing food, shelter, and education. We are also responsible to ensure their mental outlook, emotions, intellect, thought processes, and behavior are on the right track. This is necessary. Bhanumathi Narasimhan is the younger sister of Gurudev Sri Sri Ravi Shankar. She is a meditation teacher, and her workshops have brought an experience of deep inner peace to thousands of people worldwide. Bhanumathi leads the Women's Welfare and Child Care initiatives at The Art of Living and is the chairperson of the International Women’s Conference. 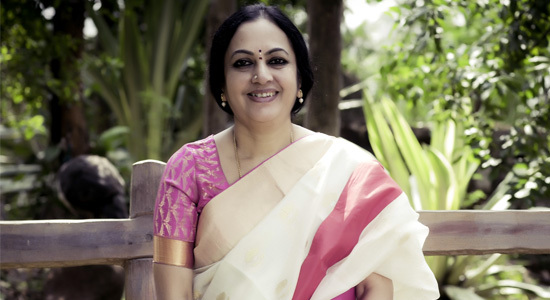 She holds a Master’s degree in Sanskrit literature and is a trained Carnatic classical singer. She is the author of Gods and Goddesses and has previously authored two books on the Mother Divine - Tejasvini and Lalita. Her latest book – Gods and Goddesses – is aimed at a much younger audience and introducing them to the most popular Hindu gods and goddesses. "I had always thought how nice it would be if a wise one explains or teaches how we could introduce Gods to our children, and this seems like a perfect opportunity." "Where children live in a world of good and happy, I get into a fix on how to explain what evil is, and why God has to be cruel to the evil. I'm sure that this session with Bhanu didi will help me." Q: What is the event about? A: The event is a unique opportunity for parents of pre-teens to learn ways of introducing their children to god and answering their questions in an informed way. Q: Who is Bhanumathi Narasimhan? A: Bhanumathi Narasimhan is the Chairperson of the Women’s Welfare and Childcare Programs of The Art of Living. She has authored four books, including the biography of her brother, Gurudev Sri Sri Ravi Shankar. Q: Who should participate in this event? A: This event is suitable mostly for parents of pre-teens. However, anybody can register for and participate in the event. Q: Why is it important to teach our children about gods and goddesses? A: The stories of gods and goddesses are full of wisdom that can help mould the child’s overall personality by shaping their thought-process, and inspiring them to be compassionate, courageous, and virtuous. Q. What is the minimum internet speed to watch the webcast? © 2019 Sumeru Software Solutions Pvt Ltd.